Artificial intelligence is reshaping the world. It’s a slow process, and it’s occurring gradually. But AI is making its way into everything. It seems driverless vehicles are just on the horizon. And it might not be too long before you’re having medical problems diagnosed by a machine. While some of these developments are still years away, others have already arrived. Smart home cameras are among the first wave of devices to take advantage of the potential of AI. And that helps them deliver on some pretty futuristic features. The Kami Indoor Smart Home Camera combines quite a few AI-driven features into one compact frame. The resulting quality oriented, feature-driven camera is intended to have quite a bit of broad appeal. But at the same time, many of these features are aimed at a rather specific subset of people. The Kami covers security essentials, and quite a bit of customization for its security features. But it’s not specialized as a security camera. The Kami provides two-way interaction features, but it’s not exactly specialized for those kind of tasks either. Kami is a jack of all trades. Its design philosophy seems to be intent on delivering as much power as possible through software. It does so without locking a bunch of critical features behind a subscription service. But it does offer a subscription service for people want their data to be on the cloud. Keeping your options open, while keeping a reasonable price, Kami is actually somewhat impressive. The Kami Indoor Smart Home camera measures 3 x 3 x 5-inches. Weighing only 9 ounces, Kami is fairly light and compact, which contributes to a fairly simple ceiling installation. The bright-white chassis is highlighted only by the presence of the central black lens. With transparent glass covering the external lens, you have a clear indication when the camera is looking at you. 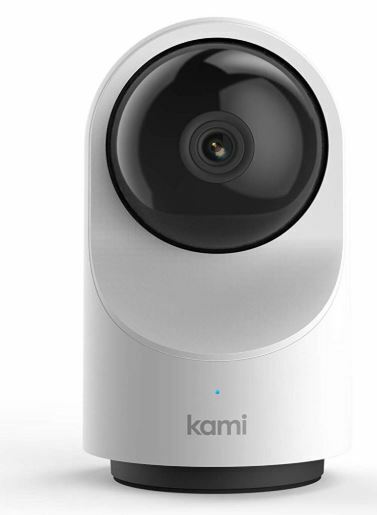 The body of the Kami Indoor Smart Home Camera is basically a giant holding station for the rotational eye. Positioned at the top of the device, this camera’s lens is built within circular rotational housing, allowing it to move and swivel with a full range. The base of the Kami Indoor Smart Home Camera is capable of swiveling around in a 340° motion. Likewise, its topside can move vertically in a 95° range. Properly positioned in the appropriate space, you can observe every portion of a room. 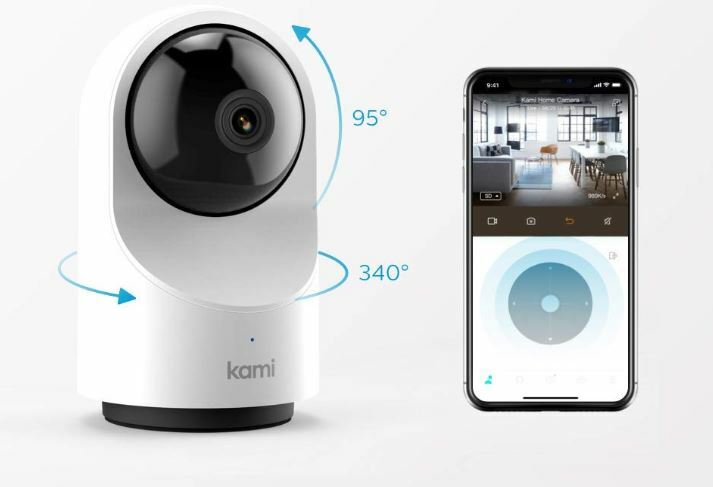 What makes the Kami Indoor Smart Home Camera special its smart use of so many strong AI features. Perhaps most importantly, you can take advantage of those features out of the gate. The few features which do require some initial setup are still simple to get going. And nearly all settings are highly customizable. For example, the Kami Indoor Smart Home Camera has a pretty formidable system regulating activity zones. Suppose you’ve set up the camera to look over a large living room. You might tell Kami to ignore looking at the couch-area of the room, or to only track motion if it occurs in front of your PC. With the additional support of rich text notifications, you can receive a text alert the moment someone violates one of these motion zones. That kind of feature has existed on these cameras for decades. But the difference between the Kami and older generations of equipment is Kami’s AI based detection. It can listen for abnormal sounds. It knows the difference between human motion, and pet motion. And these levels of customization ensure that you can get alerts only when they matter. 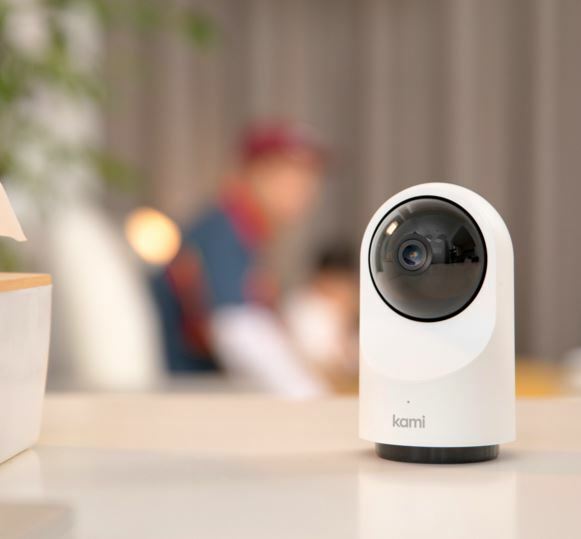 Kami’s full set of features includes a crying baby alert, person detection, motion tracking, activity zones, and a slew of customization options. Unlike some of Kami’s slightly less expensive competitors, you do not need a subscription service to access these customizations. Most people want to know if they’re being recorded, especially when it’s not intended to be a covert camera. Because the Kami Indoor Home Camera is constructed with an eyelid lens build, it’s actually easy to know when it’s live. Are you being recorded? Take a look at the camera and you’ll be able to figure it out in about two seconds. There’s no question or ambiguity. Sooner or later, you probably won’t want a camera looking at you. When that happens, you can initiate privacy mode to temporarily disable the camera from being used. It locks-out the hardware and its internet connection until you resume from privacy mode. Not quite as reassuring as placing a plastic bag over the camera, but digitally speaking, it’s actually more protection than a physical seal. Speaking of protection, if you decide to put your data into the cloud, it’s nice to know its protected. With respect to protecting your data, it’s worth pointing out that Kami is based on Microsoft Azure. It’s a service that protects countless businesses globally, which greatly exceeds minimum safety standards. Kami Home App is available for both Android and iOS. Like you’d expect, the app is free, and easy to find. Once you’ve got it installed, it allows you to check-in with Kami anywhere you’ve got a browser and an Internet connection. You can also look over the videos you’ve got in storage. 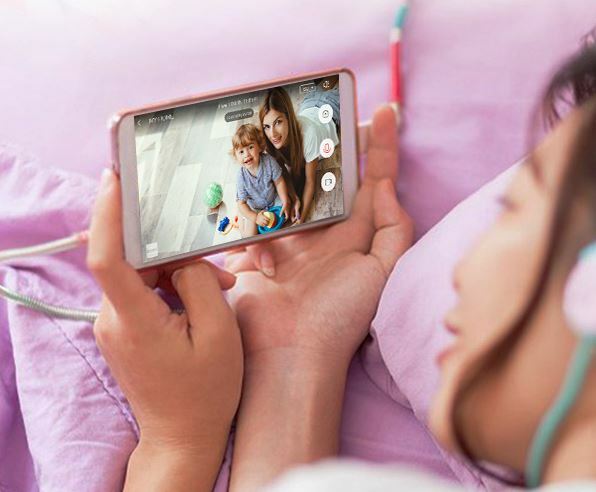 But the majority of the app seems centered around customizing the camera’s detection thresholds, facilitating real-time monitoring, and two-way communication. Speaking of two-way audio, Kami Cloud also lets you make adjustments to your live viewing, your privacy settings, or communicate over the two-way audio system. Most Smart Home Cameras have some kind of two-way communication system, with the Kami, that microphone is on the front-side of its base. It’s positioned just above the Kami logo. But at the heart of Kami’s A/V experience is really the swiveling eye. The eye is essentially like a giant ball bearing swirling around on itself. The camera delivers full 1080p HD content, both in capture and streaming. It’s crystal clear, and the file sizes remain manageable. Content is captured at 30 frames per second, approximately broadcast quality. Additionally, the Kami Indoor Smart Home Camera supports night vision. The IR-based vision can see about 20-feet into the darkness. That’s not exactly up to par for an outdoor a security camera. But with more appropriate positioning, you’ll find that 20-feet of support manages to keep everything within range highly visible. The Kami isn’t intended to be mounted within an airport terminal, it’s meant to be placed in a home. Consequently, the microphone isn’t equipped to deliver superb noise cancellation. If someone’s playing loud music, you’re going to have a hard time carrying on a conversation. It’s essentially like calling someone on the phone. Kami connects in one of two ways. The most reliable method is by wiring it up, with the included Ethernet cable. In nearly all circumstances, cabled internet connections are the fastest and most reliable you can get. But if you don’t want to run extra wires, the Kami Indoor Smart Home supports Wi-Fi across both the a 2.4GHz and 5GHz band. To take advantage of the 5Ghz band, in an ideal world, you would want to position the Kami with line of sight of your router. That would guarantee best performance with respect to the Internet side of this equation. But just about anywhere in your home that you can stream from YouTube on your phone or tablet, you can stream from the Kami app just as easily. Want to find out if you can place the Kami? Take out your phone, and walk to where you’re considering using the camera. See how your connection performs. It’s that simple. Setup is basically a 3-step process. The first step is to install the Kami Indoor Smart Home Camera app. That might mean sticking it on a countertop, or placing it on the ceiling for a good view of the room. The second step is to make sure Kami is getting power. Unfortunately, PoE isn’t supported, so you’ll need to run the included D/C power cord. The third and final step is to connect to Wi-Fi, or through Ethernet. In spite of all it does offer, there is one set of AI features Kami does not have. It can’t read faces. By having people sit down in front of the camera and give you photos, you can train facial recognition cameras to detect not only if there’s someone in your living room, but the person is your friend Kevin. It’s a cool addition, though it does require lots of additional setup. Because it can only recognize faces you’ve taught it, it’s far from an essential feature for most people. Similar cameras require paid subscription for things like human detection, or rich notification. 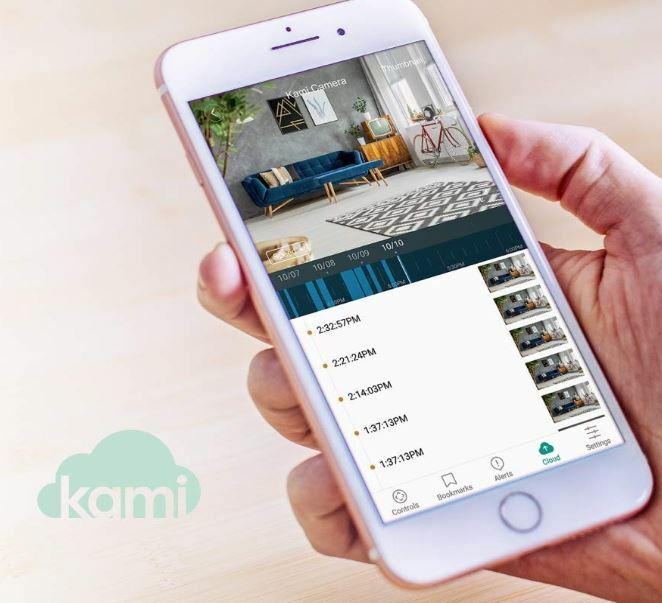 The only thing to keep in mind about the Kami Indoor Smart Home camera is that the Kami Cloud support is a paid service. The camera includes 1-year of cloud support for free, but if you want cloud support long-term, you’ll need to subscribe. Who Should Choose the Kami Indoor Smart Home Camera? Feature-rich, the Kami Indoor Smart Home Camera has plenty to offer. 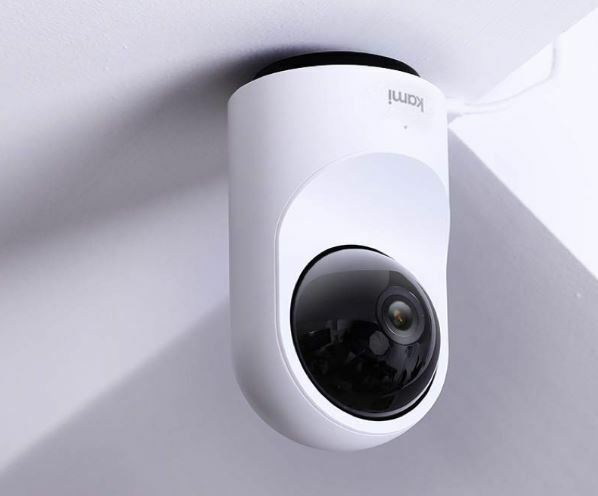 Its AI-based features allow the camera to make use of sophisticated motion detection and sound detection. That helps Kami provide most reliable security alerts with few false positives. With respect to day-to-day use, Kami’s AV equipment is an effective conduit for family communication, or for checking-in on loved ones. If you’re away from your home for a while, it’s nice to be able to give yourself peace of mind by looking in on things. Whether you want to say hi to your cat, or you just want an alert if something goes wrong. Setting up the camera is simple enough for anyone to do. Even the mounting process is comparably simple because of the lightweight nature of the camera. 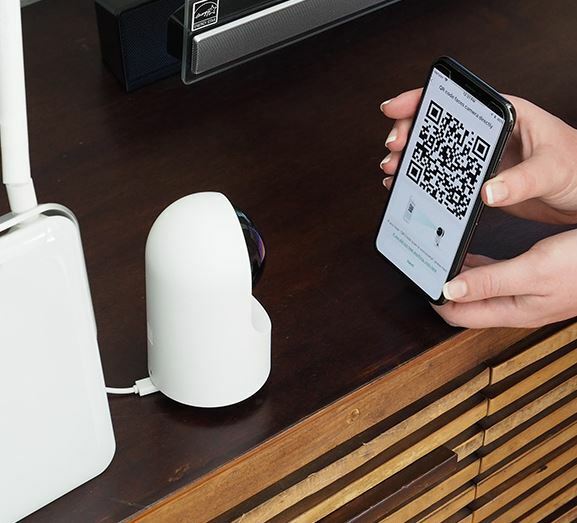 All of these factors combined make the Kami Indoor Smart Home Camera a pretty good choice for someone who’s setting up a smart home, or someone who’s interested in a smart camera that only delivers notifications when necessary.